In English, warts and all is an expression used when we want to know everything about a person or situation - even the bad things. I'm thinking of applying for a job there and I really want to hear what it's like - warts and all. Jorge wasn't the best boyfriend but she loved him, warts and all. The best travel guides give a warts-and-all account. These people are all taking selfies. Afterwards, a lot of them will edit the picture using filters. 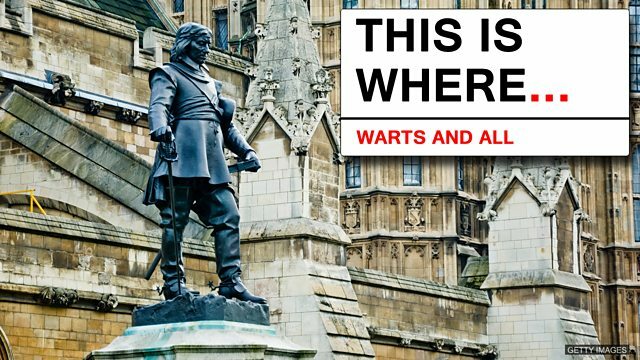 If I said the phrase to you 'warts and all', what would I mean? Well I'd understand it to mean the worst and the best. I think it possibly comes from portrait painting, so in a time before we were able to digitally enhance images or soft-focus them, when the artist would have to take the blemishes out of the image by painting them out or not including them in the first place. If you're describing something to someone and there's good sides and bad sides, it means I'm going to hear some of the bad sides as well. Woman: Something is bad, but you kind of take everything as it is. Give me a sentence where you would use that phrase. So, having just moved into the house, I asked my neighbour to tell me what the neighbour on the other side was like and make sure that it was warts and all, so that I'd really know what I was in for living next door to them. This is Oliver Cromwell. He was a very important man in British history. In 1653, an artist named Samuel Cooper was asked to paint Cromwell's portrait. Now, Cromwell had several large warts on his face. So, when Cooper started sketching, he tried to smooth out Cromwell's face to make him look more attractive – a bit like we do when we use filters. When Cromwell saw what the artist had done, he said he preferred the portrait to show him with pimples, warts and everything. Over time, this was shortened to the phrase 'warts and all'. Oliver Cromwell ruled the Commonwealth of England, Scotland and Ireland following a civil war in the 1600s. In 1653, an artist named Samuel Cooper was asked to paint Cromwell's portrait. Cromwell had several large warts on his face. So, when Cooper started sketching, he tried to smooth out Cromwell's face to make him look more attractive. When Cromwell saw what the artist had done, he said he preferred the portrait to show him "with pimples, warts and everything." Over time, this was shortened to the phrase 'warts and all'. An expression used when we want to know everything about a person or situation - even the bad things. Which of these sentences contains a correct use of 'warts and all'? 'Warts and all' is an expression used when we want to know everything about a person or situation - even the bad things. "The new biography of the former president is a warts-and-all account of his time in office." What does this mean? In 1653, an artist named Samuel Cooper was asked to paint Cromwell's portrait. Cromwell had several large warts on his face. So, when Cooper started sketching, he tried to smooth out Cromwell's face to make him look more attractive. When Cromwell saw what the artist had done, he said he preferred the portrait to show him "with pimples, warts and everything." 'Oliver Cromwell wanted his portrait to show his face as it really looked'. True, false or not stated? Join us in Session 10 of The Experiment where we learn about subjects to avoid during British small talk.